Didn’t you just love the beautiful prints and cheerful colours on Jane’s Mary Katrantzou post? 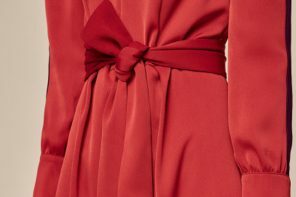 I have vowed to wear more beautiful colours this year, certainly during the dull months of Jan and Feb, so scanning the sale from the comfort of my sofa, I think the following are worth considering, as they will work nicely into a spring/summer wardrobe. 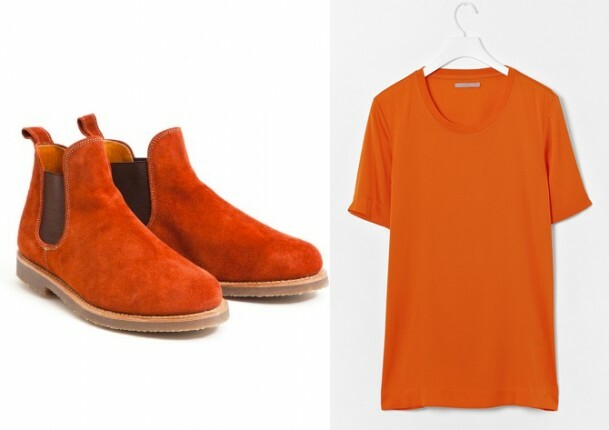 Starting with Penelope Chilvers tangerine suede chelsea boots down from £228 to £114, these will make you smile every time you spot your feet and would look great with neat skirts as well as jeans. 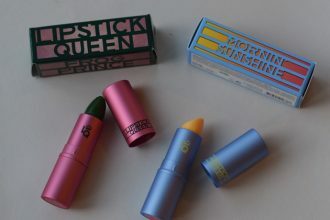 Tangerine is also Pantone’s colour of the year for 2012. 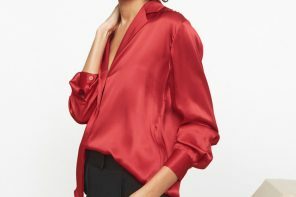 COS stretch silk T shirt top is a lovely orange and nice fabric, it would be an uplifting splash of bright under a black or grey sweater, come better weather it will be a great anchor piece for bright florals. Down from £69 to £35. 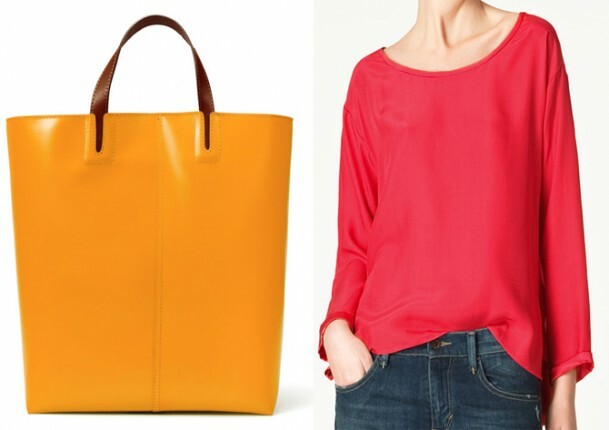 My favourite bag from Zara is sadly not for sale as it’s been carried over, but I did like this one, the plain basket shopper, above left, which is daffodil-ishly cheerful and would move brilliantly into spring with you. It’s also in ‘regenerated leather.’..whatever that is, from £69.99 down to £49.99. Also at Zara is this plain geranium pink top which could be useful if you are still colour blocking, it’s a lovely asymmetric shape. 100% silk and down from £59.99 to £39.99. The Outnet has a couple of lovely shirts, and remember florals and stripes are excellent wardrobe additions for spring trends. 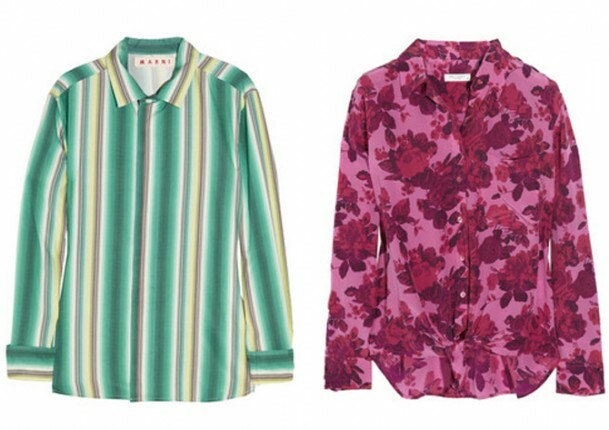 I am trying very hard NOT to buy the Marni stripe shirt at £62.25, down from £245 and the Equipment floral one in honeysuckle pink is a nod towards Mary Katrantzou’s florals. It’s a touch pricier at £94.50, but down from £270, so not a bad discount. oh god just when I’d resolved not to shop…. Do like the Penelope Chilvers boots – but I’ve got my tax to pay.